China Pavilion, at the venue of UN Climate Change Conference, in Lima, Peru, was officially opened on Friday, December 5, 2014. On the same day, workshop on Forestry Carbon Trade Increasing Farmers’ Income was successfully held at China Pavilion by the China Green Carbon Foundation (CGCF). The global community always keeps an eye on China’s policy and action to address climate change. The story of Forestry Carbon Trade Increasing Farmers’ Income, told by representatives of CGCF and its partners has gotten great attention from some countries and international institutions. More than 70 audiences from the United Kingdom, France, Nigeria, Togo, South Africa, Sudan, Gabon, Peru, South Korea, Botswana, China, and FAO, the Green Climate Fund and other international organizations, attended the workshop. 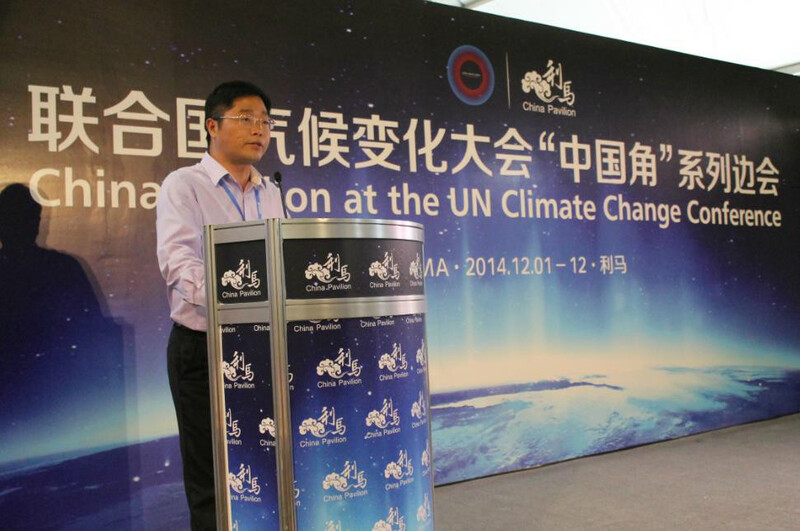 Dr. Li, Nuyun, the Deputy Director of Climate Change Office, the State Forestry Administration of China, the Secretary-General of CGCF, hosted the event. The forest double function of mitigation and adaptation to climate change become the consensus of the international community in the global negotiations on climate change and the system construction process. The Chinese government attaches great importance to the recovery of forest vegetation and protection, to become the world's fastest increase the forest area and plantation most populous country. China has made a great contribution to address the global warming through forestry sector. At the same time, farmers of more than half of the collective forests have won the forest land use rights, the ownership of trees and usufruct in China since the collective forest property system reform was implemented. However, forest management cycle is long, no profit in the short term, how to help farmers make a profit through sustainable forest management, consolidate the results of collective forest property system reform has become a key issue to governments and those forests owners. CGCF, China's first public fundraising foundation dedicated to combat climate change through increasing carbon sinks and reducing emissions by forest measures, organized the local forestry department, science and technology support unit, forest right exchange, etc., working together to carry out the research on "help farmers sustainable manage forest, to increase forest carbon sequestration, sell carbon credits to increase farmers' income", finally built the "forest carbon trade system of individual farmer forest management " up. The system with reference to the domestic and foreign voluntary carbon trading rules, considering farmers characteristics of individual unit at the same time, developed the "farmers forest carbon project methodology", compiled the guide to the examination and verification of forestry carbon project, established the carbon credit registered platform for farmer forest voluntary carbon sequestration projects. CGCF conducted the first 42 householders’ pilot project of sustainable forest management for carbon sequestration in Linan city, Zhejiang province. Those carbon credits generated by the pilot project were traded through Huadong Forestry Exchange. The workshop showed the whole process of the circle of the implementation of farmer forest carbon project and its carbon trade. The contents of this system and running mode become a bright topic for China Pavilion’s events on the first day. Dr.Li Nuyun, pointed out that the farmer forest voluntary carbon trading system is to help farmers sell ecosystem services in the term of carbon credits to get rewards, to promote farmers manage forest sustainably to benefit both themselves and the society through the innovation of the forestry measures to combat climate change, to carry out specific actions on national climate change strategy, to follow the process of international negotiations on climate change issues concerning forestry scientific practice. 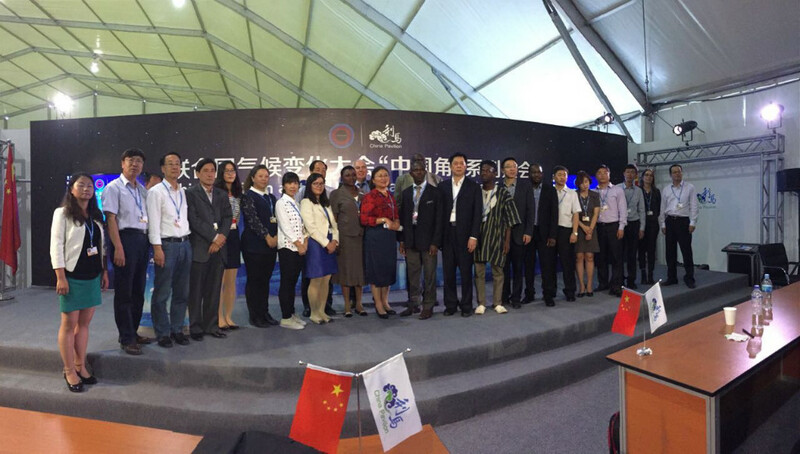 System development and operation became a public platform for enterprise to involve with voluntary carbon trade and poverty alleviation. Enterprise purchase carbon credits to fulfill its social responsibility at the same time, help the implementation of forest ecosystem services value of monetization. This trade mode for forestry production cycle is long; the short term to have income of forest provides a solution to the problem. More importantly, the innovative mode of ecological compensation, is to reduce greenhouse gas emissions, increase farmers' income, protecting biodiversity, the effective ways to improve the environment, bring many benefits for economic development and social progress, is the enterprise and the public in national ecological civilization construction and protection of the great practice of our planet. The workshop was on the theme: Telling China Story, Spreading Forestry Voice. Through the complete story, showed the international community how to increase farmers income through forestry carbon trade process, how the mechanism and effect work. Audience have involved deeply and asked many details about the mode. They have expressed a desire to get more detailed information and technical guidance, so that in their respective countries or institutions to pilot similar projects and promote such mechanism.